The talks covered a fascinating range of topics and scales from pre-fabricated Brazilian theatres down to the incredibly intricate model-making of shipbuilders on the Clyde. I couldn’t hope to convey the momentous volume of knowledge that was shared at yesterday’s event so instead I thought I would whet your appetite with a few of my favourite facts. Each of the talks were filmed by GCHT and I would assume links will be posted to these in due course on their website and a full list of the speakers and their topics is at the bottom of this post. 1. 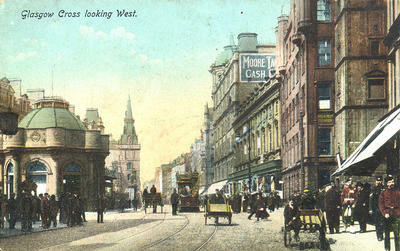 Via John Hume – By the early 1900’s 1 in 4 Glaswegians was in some way employed in design, from the construction of buildings to the manufacture of scarves. This gives a context for the sheer volume of high quality products generated by the city and the explosion of creativity throughout the period this conference considered, 1864-1914. 2. Via Max Donnelly – Daniel Cottier shared a building with Campbell, Douglas and Stevenson (see Royston Spire post for further background), this provides a basis for his collaborations with them as well as later with William Leiper who was an assistant at the firm before setting up on his own. 3. Via Helena Britt – When Abraham Lincoln became president Mary Todd Lincoln took on the duty of restoring a dilapidated White House and in 1861 ordered from J. Templeton & Co “a new carpet, of Glasgow manufacture, ingeniously made all in one piece, had designs of fruit and flowers in vases, wreaths and bouquets.” Furthermore, Templeton’s also produced the carpet that was used at the coronation of King George V.
4. Via Robyne Calvert – Madonna’s 1989 futurist video for Express Yourself features chairs designed by Charles Rennie Mackintosh. The video was directed by David Fincher of Fight Club fame and was directly inspired by Fritz Lange’s Metropolis. Skip to 3:14 to see Madge pulling a George Galloway and pretending to be a cat with the aforementioned 1897 tearoom chairs in the background. 5. Via David Mitchell – The reach and importance of Glasgow’s iron foundries is something that I hadn’t previously appreciated, David’s talk gave a brilliant overview of this industry in Scotland between 1864-1914 and I would love to see an extended version of this presentation as David looked like he could have quite happily have spoken for an extra few hours when his 30mins were up! 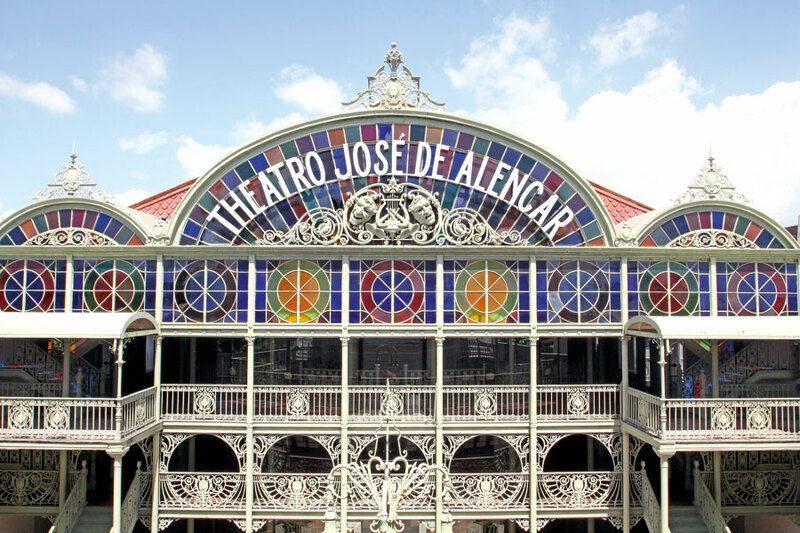 Out of the examples of works presented the Theatro Jose de Alencar is truly an outstanding piece of work by the Saracen Foundry, considered “possibly the world’s most prolific iron founder”. The ironwork of the Art Nouveau theatre’s facade and interior was all cast in Glasgow, transported to Fortazela, Brazil in 1908 where it was then re-assembled in an incredible early example of off-site construction. 6. 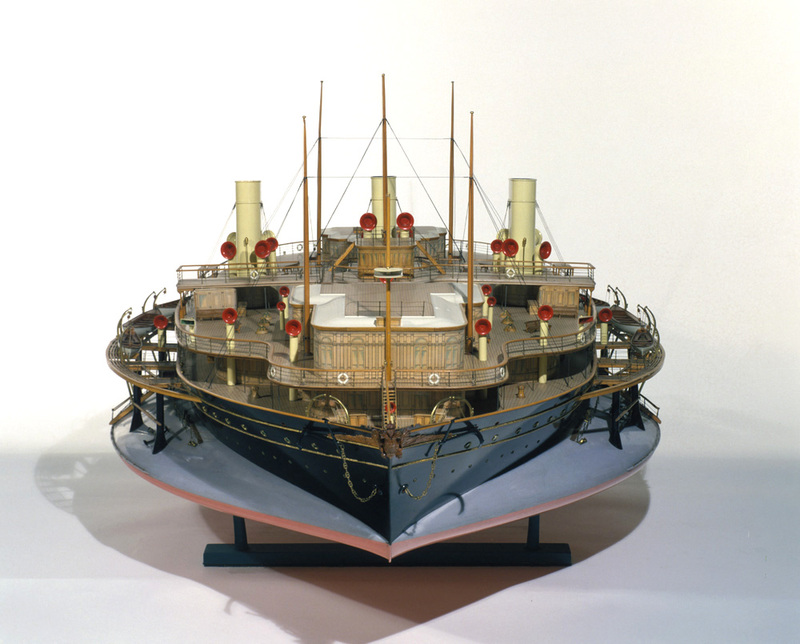 Via Emily Malcolm – Tsar Alexander II commissioned a giant round yacht based that was constructed at Fairfield’s Shipyard in Govan and launched in 1880. The design of the ‘Livadia’ was intended to reduce sea sickness, however it failed miserably and in fact proved to be extremely unstable resulting in increased seasickness amongst those on board. In 1881 she was moored in Nikolaev and stripped of her interiors, assorted luxuries and engines. 7. 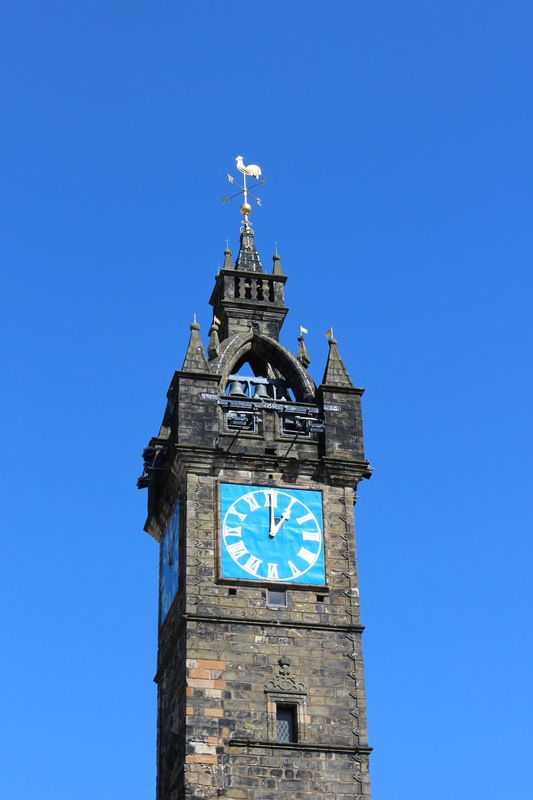 Via John Hume – In relation to my previous post on the Tolbooth Steeple I gained an extra morsel of information, I hadn’t realised that at the time of its construction it was the tallest tolbooth in Scotland by “a considerable margin”. A fact that makes this building all the more significant and reinforces not just it’s Glaswegian but national importance. 8. Via Max Donnelly – Max spoke very eloquently on the work of Cottier and also brought to the fore the plight of two houses, Cairndhu in Helensburgh and The Elms in Arbroath. 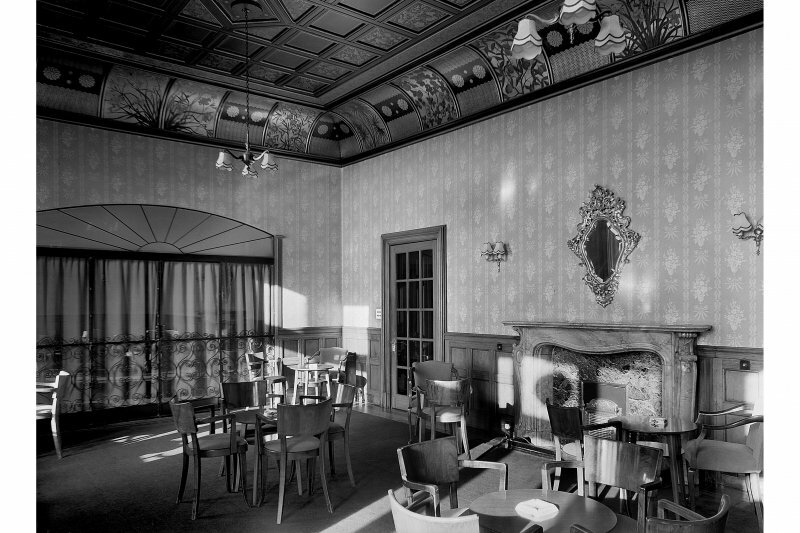 Both properties were designed by Leiper with interiors by Cottier (Cairndhu is considered to have “one of the finest Anglo-Japanese interiors in Scotland), however both are unoccupied and also on the Buildings at Risk Register. It was reported that Cairndhu is visited on a weekly basis, but it is of course still at risk from vandalism and theft. Futhermore, the BARR record has not been updated since January 2012, which at the time included concerns over the condition of the roof that without repair will lead to water ingress. However reports in the local paper regarding The Elms are considerably worse, stating that the French Gothic mansion has suffered collapsed floors and smashed windows. This sadly suggests that the Cottier interiors are likely to have been irreparably damaged, with the local authorities reporting 15 years ago that important features such as stained glass, fireplaces and panelling had already been lost. Despite the time that has passed since this initial assessment it appears little has been done to protect the building in the intervening period and in fact further damage has occurred. It is truly painful to see buildings of such quality left to fall into such disrepair, hopefully their condition can be properly assessed in the short term and subsequently their most important features safeguarded prior to a long-term future being found for them. 9. 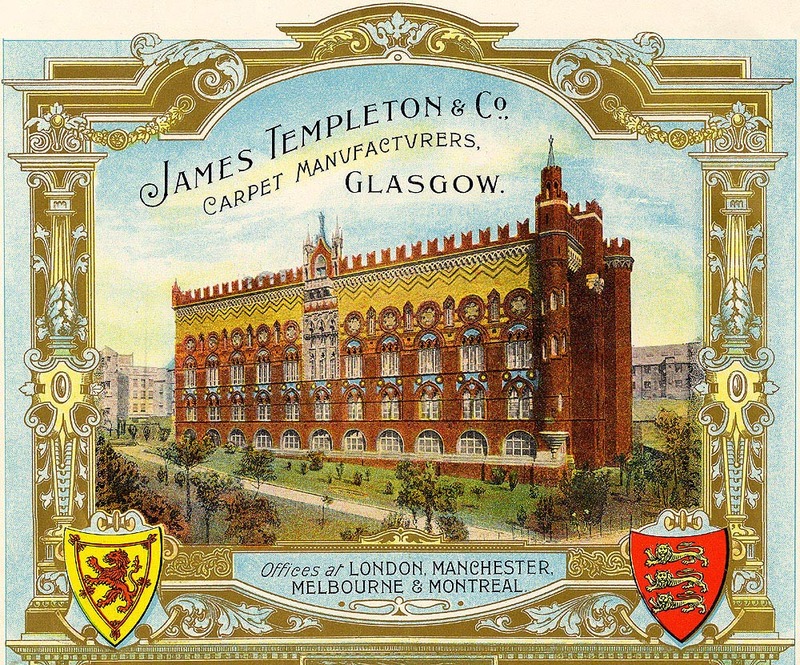 Via Helena Britt – In other William Leiper news, whilst I was well aware of the fact that the Templeton Capet Factory design was based on that of the Doge’s Palace in Venice, I did not know that the setting of it’s crowning sculpture of a figure holding a distaff (a tool used in spinning) is heavily influenced by another Venetian building, St Mark’s Cathedral. More to follow on this in a post on Templeton’s at some point in the future. 10. Via Ian Gow and Max Donnelly – I am an eejit… This seems to be a theme that is developing throughout this blog. 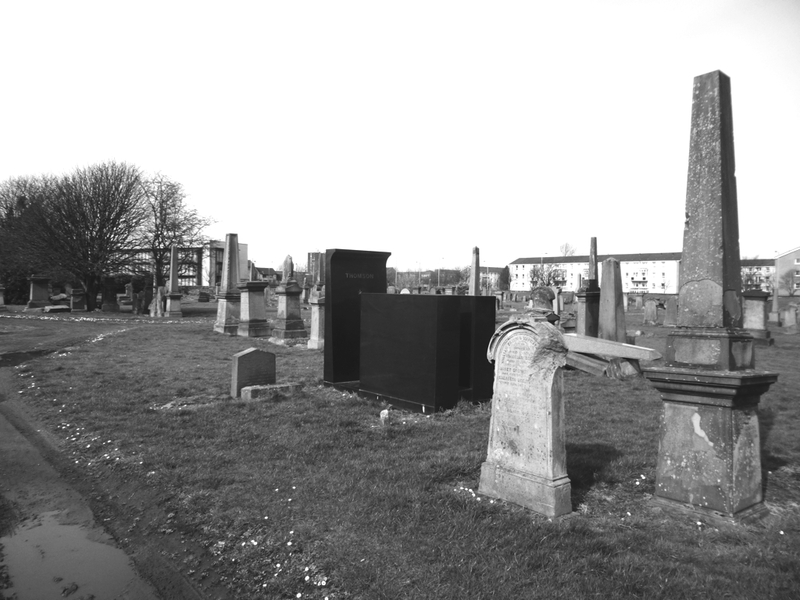 In a previous post I criticised the design of the Thomson memorial in the Southern Necropolis, however one of my reasons for this was on the basis that Thomson wasn’t renowned for his use of granite. 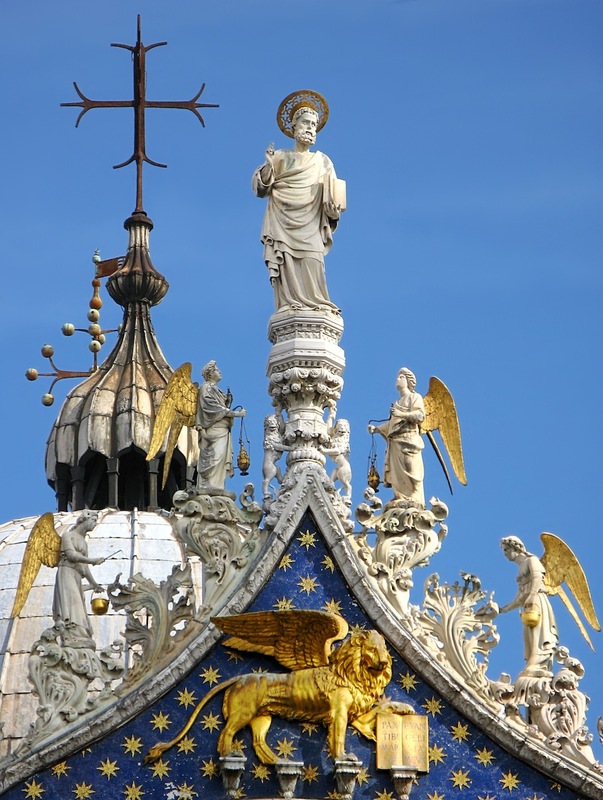 Turns out that is nonsense and in fact Thomson’s method of incising and gilding granite was highly regarded and replicated by his contemporaries! Whilst I still stand by my distaste for the design of the memorial I now better understand the thought process of the designers and those who championed it, particularly given that the competition proposal included gilding the incisions in the granite in the manner of Thomson. The conference was truly an enlightening one, elegantly summed up by Professor Hume who stated it was possibly the best collection of speakers he had ever been a part of. This is a credit to GCHT as the whole day was well curated and meticulously planned, and on that note I should plug the future events in this series. 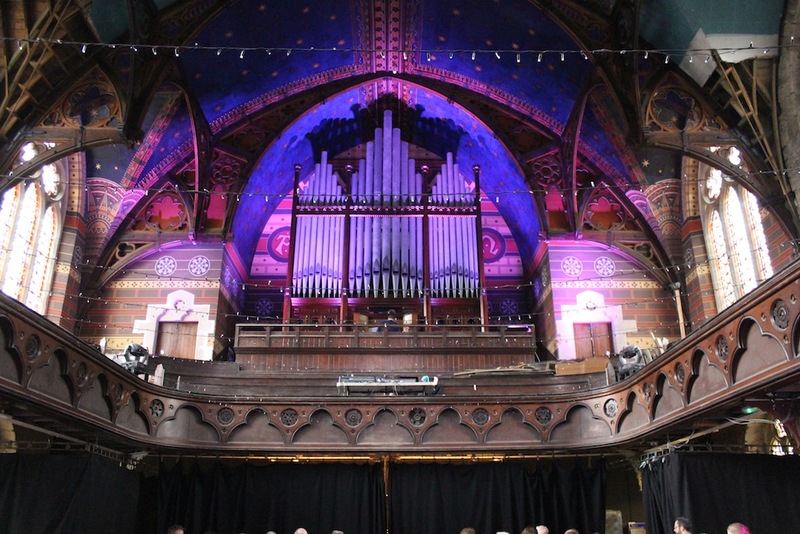 Up next is an organ recital at Cottier’s Theatre, the official premiere of their newly restored organ, the console of which has been entirely reconstructed by Harrison and Harrison. It’s on the 20th of May at 7:30 and tickets cost a tenner. We were treated to a little taster of this at yesterday’s event and it is a truly beautiful instrument, the immensely warm tone of the organ completely fills the room and you can’t help but be enveloped by it. I’d highly recommend this as a chance to both hear the organ and see inside the theatre as it is in a particularly interesting state of partial restoration so whilst there is plenty of Cottier’s interior decoration to appreciate you can also see elements of the structure exposed, one for the archi-geeks out there! Following that the next Glasgow’s Gilded Age event is a discussion event on the 30th June from 6pm-8pm on the topic, ‘Is Mackintosh the only champion of Glasgow’s Architecture?’ This also takes place at Cottier’s with tickets costing a mere fiver and places can be booked by e-mailing GCHT. Different speakers will make a 5 minute case for the architect of their choosing as meriting the same level of appreciation as is given to Mackintosh. Sadly I’ll be off sunning myself whilst this event is on, but it’s an idea that I am hugely enthusiastic about… Who will win? Burnet, Salmon, Thomson, Hamilton, Wilson? There are so many to choose from, however personally I would argue that whilst individually they are all excellent architects, it is the concentration of such a collection of talents that raises Glasgow into the upper echelon of global cities with regards to the quality of the architecture dispersed throughout the city. Whatever the outcome it is sure to be another brilliant event! Thanks Jo! Lost a bit of momentum the last few weeks (time being the perpetual issue!) but have a new post planned for this weekend!